Andrew Wood does not work for, consult, own shares in or receive funding from any company or organization that would benefit from this article, and has disclosed no relevant affiliations beyond their academic appointment. In 1939, when John Steinbeck imagined Highway 66 as “the road of flight,” he evoked the crushing realities of Depression-era migrants who’d been pushed off their land by failing crops, relentless dust and heartless banks. But after its heyday in the mid-20th century, the traditional mom and pop motel – once ubiquitous along American highways and byways – has largely slipped from the public imagination. Today’s road-tripper generally prefers lodging that boasts a professional website, guarantees a fast internet connection and promises easy-on-easy-off interstate access, leaving the older motels built along two-lane roads and numbered highways to go to seed. Even so, efforts to preserve mom and pop motor lodges – particularly along Route 66, “the highway that’s the best” – indicate a desire among many historians and motorists to reclaim something of the motel spirit not yet entirely lost. The Sanders Court & Cafe in Corbin, Kentucky, advertised “complete accommodations with tile baths, (abundance of hot water), carpeted floors, 'Perfect Sleeper’ beds, air conditioned, steam heated, radio in every room, open all year, serving excellent food.” And yes, that food included the fried chicken developed by Harland Sanders, the Kentucky colonel of KFC fame. 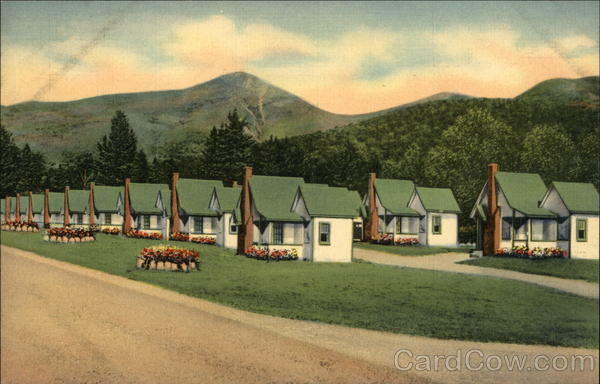 During the 1930s and ‘40’s, individual cabin camp and cottage court owners, known as “courtiers,” dominated the roadside haven trade (with the exception of Lee Torrance and his fledgling Alamo Courts chain). For a time, courtiers lived one version of the American Dream: home and business combined under the same roof. Then, during World War II, almost everything road trip-related was rationed, with tires, gasoline and leisure time at a premium. But many troops traveling across the country to be deployed overseas saw parts of America that they would later want to revisit upon their return. At night, they found motor courts – no longer isolated cottages, but fully integrated buildings under a single roof – lit by neon and designed with flair. They would soon be referred to as “motels,” a name coined by the owner of the Milestone Mo-Tel (an abbreviation of “motor hotel”) in San Luis Obispo, California. While motel rooms were plain and functional, the facades took advantage of regional styles (and, occasionally, stereotypes). Owners employed stucco, adobe, stone, brick – whatever was handy – to attract guests. You could argue that the decline of mom and pop motels signifies something else lost in contemporary American life: the loss of friction, of distance, of idiosyncrasy. In my book “City Ubiquitous: Place, Communication, and the Rise of Omnitopia,” I write of a nation defined less by travel than by the illusion that one may gather up all the world – all the same and dependable parts of it, at least – and navigate its safe interiors without fear of surprise. There is pleasure – and some degree of satisfaction – in this fantasy. But there is something missing too. I don’t necessarily want to call it “authenticity.” But we might imagine motor lodges – those of the past and those that remain today – as representative of a pleasant and peculiar fantasy of freedom: a way to escape the global continuum of constant flow and effortless connection. They’re a departure from the script of everyday life, a place where travelers can still invent a new persona, a new past, a new destination.